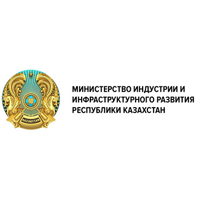 The Ministry of Industry and Infrastructural Development of the Republic of Kazakhstan is the state body of the Republic of Kazakhstan, providing leadership in the areas of industry and industrial and innovative development, scientific and technological development of the country, the mining and smelting complex, development of local content, engineering, coal, chemical, pharmaceutical and medical industries, light woodworking and furniture industry, the construction industry and the production of building materials, safety STI machinery and equipment and the safety of chemical products in accordance with industry-oriented; export controls; industrial safety; energy saving and energy efficiency; regulating the production of precious metals and the circulation of precious metals and precious stones, commodities containing precious metals, jewelry and other products; the creation, functioning and abolition of special economic zones; technical regulation, standardization and ensuring uniformity of measurements; mineral resources, with the exception of hydrocarbons; state geological study, reproduction of the mineral resource base; state management of subsoil use in terms of solid minerals, with the exception of uranium mining; in the areas of rail, road, inland water transport, merchant shipping, in the use of the airspace of the Republic of Kazakhstan and the activities of civil and experimental aviation, natural monopolies in the field of air navigation services and airports and in socially significant markets in the field of airport services, highways; architectural, urban planning and construction activities, housing relations, public utilities and municipal waste management (except for municipal solid waste), state regulation in the field of water supply and drainage, heat supply (except for heat and power plants and boilers that produce heat in the centralized heat supply zone) the limits of settlements; development and promotion of non-primary exports. 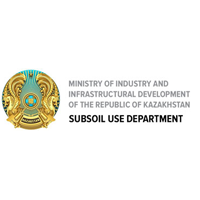 The Subsoil Use Department is a structural subdivision of the Ministry of Industry and Infrastructural Development of the Republic of Kazakhstan. The main task of the Department is the formation and implementation of state policy in the field of subsoil use in groundwater, therapeutic mud, solid minerals, with the exception of uranium and coal. 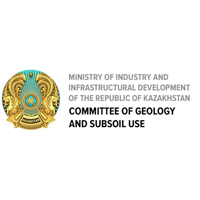 The state institution «The Committee of Geology and Subsoil Use of the Ministry of Investment and Development of the Republic of Kazakhstan» is a department of the Ministry of Investment and Development of the Republic of Kazakhstan, carrying out regulatory, realizable and control functions, as well as participating in the implementation of the strategic functions of the Ministry in the areas of the state geological studying, the reproduction of mineral and raw materials base, the rational and complex use of bowels, the state subsoil management. 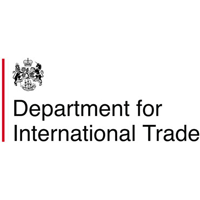 The Department for International Trade (DIT) helps UK companies involved in the mining and construction equipment sectors export overseas. UK companies deliver solutions across the mining lifecycle, from initial scoping studies through all phases of feasibility and detailed mine design, and ultimately construction and operation. The UK’s construction equipment sector produces innovative products with around 75% of the output sold overseas, contributing £11 billion per annum to the UK economy. The UK is the leading global source of mining finance, providing liquidity for all sizes of projects and operations. Support is delivered by a broad range of professional services and consulting organisations that work to recognised global standards.